This is definitely the place to be if you want to have a great time and love golf. 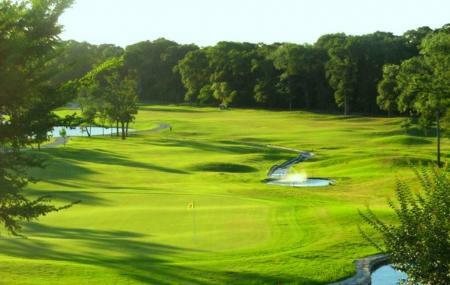 It offers you 9 holes and 18 holes but they are very well put together and are quite challenging. You can also try out the lovely restaurant here. The scenery also here is lovely and definitely carry a camera if you can. The panoramic view and the nature are a great way to soothe your soul. You really have to see it to believe it. Try to take the lessons for golf here if you wish to, they are pretty feasible. Do not forget to contact the authorities for knowing about current activities. Please follow the dress code mentioned on the website. Find out about the food services specially if you are carrying kids. Check out the website for other prices. Contact the authorities for exact timings of the events and other activities. 35th Street SW. Turn left on Forest Grove Drive. The clubhouse is on the right. Pebble Creek Golf Course Address: 3851 195th St. Le Claire, IA 52753 United States. How popular is Pebble Creek Golf Course? People normally club together Mississippi River Distilling Company and Wide River Winery Tasting Room & Courtyard while planning their visit to Pebble Creek Golf Course.